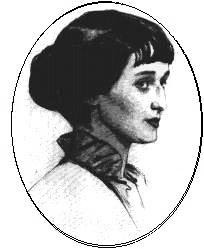 ﻿ Poetry Lovers' Page - Anna Akhmatova: "You'll Live, But I'll Not..."
You are here: Home » Russian Poets » Anna Akhmatova » "You'll Live, But I'll Not..."
ANNA AKHMATOVA: "You'll Live, But I'll Not..."
The final turn is that. The secret plot of fate. A wolf is always shot.